The first comprehensive account of the growing dominance of the intangible economy Early in the twenty-first century, a quiet revolution occurred. For the first time, the major developed economies began to invest more in intangible assets, like design, branding, R&D, or software, than in tangible assets, like machinery, buildings, and computers. For all sorts of businesses, from tech firms and pharma companies to coffee shops and gyms, the ability to deploy assets that one can neither see nor touch is increasingly the main source of long-term success. But this is not just a familiar story of the so-called new economy. Capitalism without Capital shows that the growing importance of intangible assets has also played a role in some of the big economic changes of the last decade. The rise of intangible investment is, Jonathan Haskel and Stian Westlake argue, an underappreciated cause of phenomena from economic inequality to stagnating productivity. 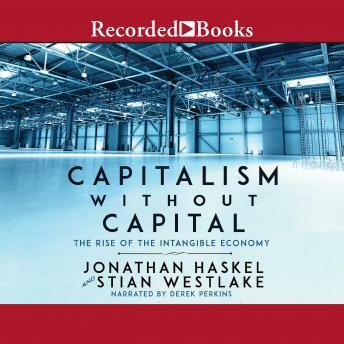 Haskel and Westlake bring together a decade of research on how to measure intangible investment and its impact on national accounts, showing the amount different countries invest in intangibles, how this has changed over time, and the latest thinking on how to assess this. They explore the unusual economic characteristics of intangible investment, and discuss how these features make an intangible-rich economy fundamentally different from one based on tangibles. Capitalism without Capital concludes by presenting three possible scenarios for what the future of an intangible world might be like, and by outlining how managers, investors, and policymakers can exploit the characteristics of an intangible age to grow their businesses, portfolios, and economies. Author bio: Jonathan Haskel is professor of economics at Imperial College London. Stian Westlake is a senior fellow at Nesta, the UK's national foundation for innovation.